I was a naysayer when I first checked out Viewer 2.0. Argh! I hated the way the right side menu jolted out decreasing the window by half. I especially hated the huge image of the view box. Too big and extra clicks to go back in forth between vertical/horizontal and orbit. In the old viewer, I use both keyboard to navigate and also use the view box when I wanted to use only one hand. The inventory file list for the new viewer “bounced.” When you scroll or look for something, the entire file list has a tendency to bounce up and down. But, I knew it was a glitch that could be fixed. Several other annoying things discouraged me and I quickly left and went back to the original viewer. I coud hear the nagging in the back of my head, though. “This is the direction we need to go. Browser-based format.” So, one weekend with a bad cold, I hunkered down with my alt and dove in. My alt is a builder only. She has no friends, no groups; she just builds. I use her when I need to focus on a WET Builders project. There is a vanity in using your main avatar as you want your name attached to the creation. When I use her, I know that no one will know that I built it, and that makes me reluctant to use her for anything but practice. At first, I was hovering over the keyboard… hunched over, hands tight, wrists in pain. I couldn’t relax. When I use the old viewer, I am almost in dream state when I build. I reset my entire preferences on my computer to address the tension in my hands. I took off all the soft touches and set it at a default setting until I could get used to the new viewer. Today, I love the tidiness of my desktop. Gone are all the little windows that I used to shove into corners. Now the window is large and easy to use and with one click it disappears into the right side. The annoying IMs and blue notices are now at the bottom of the screen. Small orange dot highlights tiny thumbnails letting me know that someone has “called” me. And the notices flash briefly, and then, disappear into a nice tidy little envelope. I got into a rhythm building multiple boxes stacked on top of each other. Each with the same texture, but I changed the variables of the texture for each box. A simple script was placed into each box; each script was modified slightly so that the texture changes were subtly different. A good practice build for using the new viewer. Then I went into a sculpty build. Same thing. Get into a rhythm and play. I could feel myself start to relax. My hands were loose and fluid. The inventory though was still a bugger. The bounce is annoying. I kept thinking that maybe Linden Lab was trying to tell me to decrease the inventory load! LOL! By Sunday, I decided to delete the old viewer. I didn’t want to fall backwards to an abandoned viewer. I have been here for a long time, and I have watched the changes sometimes in dismay. But, each change brings new challenges, opens more doors and I didn’t want to be that old stuck-in-the-mud kind of person who won’t accept change. Better that I jump in with both feet and help to fine tune the system. I know there are glitches in the viewer. I have heard from my builder friends that there are issues with machinima, scripting, etc. but I hope they hang in and file the reports necessary for LL to fix these glitches. Second Life is beta and always has been. This is a testing ground for the future and those who leave over a viewer upgrade are short-sighted and probably shouldn’t be here anyway. I am not an expert, but I can see where this is going. The future of digital worlds is the internet. Maybe not the one we have now, but it will be a network of all digital worlds including both real and virtual. There will be no division between the worlds. All worlds will be interconnected for artists, consumers, businesses, retailers, services, educators and governments. Those of us who stay involved will be rewarded in knowing that we helped with this new world. When I hold my future grandchild on my knee, I can tell them how I helped create the digital world they use everyday. The excitement I feel now is one of a child on the night before Christmas. I can’t wait to open up all those colorful, shiny packages under the tree. 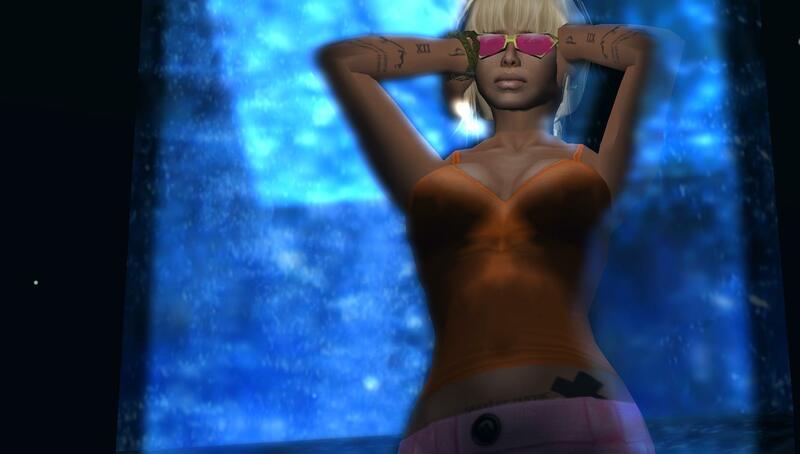 For more pictures, see raftwet jewell in flickr. second life, phil linden and browsers BURN2 ?